From athletics to the arts to science to storytelling, there are plenty of summer camps for learning and play affiliated with UCF that can help keep students busy during the summer break. Deadlines are fast approaching for the 30 camps on this list. If you’re interested in learning more about a specific camp or wish to register, click the name of the camp for more information. Flute Boot Camp: This three-day intensive program is designed to educate and inspire young flutists. In addition to the daily curriculum, guest artists will give classes to the students. Registration details: Deadline: May 1 (priority tuition), June 1 (late tuition). Enrollment will close once capacity is reached. Sax Boot Camp: This three-day intensive program will educate and inspire young saxophonists. Daily masterclasses will provide continual and concentrated input from Associate Professor George Weremchuk. 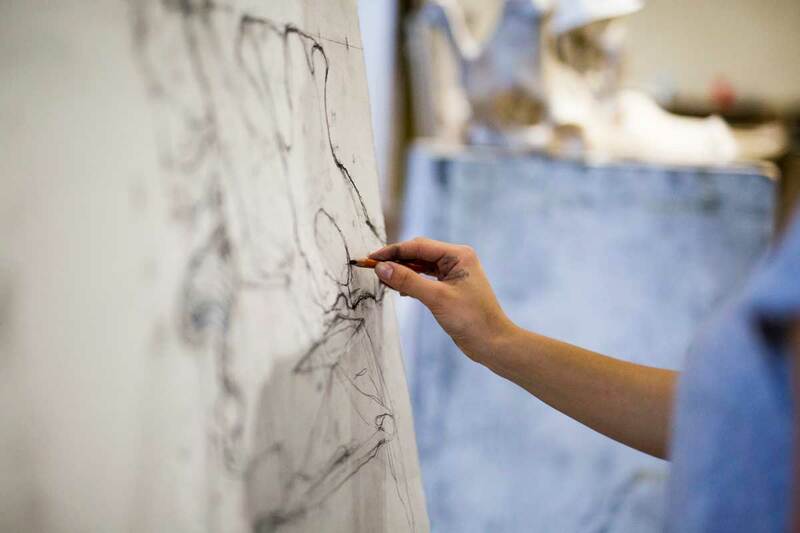 In addition to the daily curriculum, guest artists will give classes to the students. Summer Flute & Piccolo Institute: This one-week intensive program is designed to educate and inspire young flutists through an interesting and cultivating curriculum that examines many aspects of flute performance. Knights Design Architecture Camp: Attendees of this two-week camp can expect to learn about architecture and design through a dynamic experience that includes working in UCF studios on projects, traveling to places of architectural significance in Central Florida and networking with professors and local architects. Registration details: Deadline: May 1. Eligible applications must submit two letters of recommendation from a non-relative and carry at least a 3.0 grade-point average. Summer Opera Institute: In partnership with Opera Orlando, this intensive 10-day program is for singers who are pursuing a music education or performance career. The program includes voice lessons, master classes, private coaching, diction study, acting and movement classes, and a final concert on Sunday, June 23. Piano Camp: A week-long performance intensive program for young pianists. Registration details: Deadline: May 1 (priority tuition), June 1 (late tuition.) Enrollment will close once capacity is reached. Percussion Summer Institute: A unique opportunity to study closely with UCF percussion faculty Thad Anderson ’04, percussionist, composer and contemporary/electroacoustic music specialist; Kirk Gay, world-class timpanist and orchestral musician; and Jeff Moore, internationally recognized percussion clinician, lecturer, soloist and dean of the UCF College of Arts and Humanities. (New!) Summer String Camp: This one-week intensive program designed to educate and inspire young string players in seventh through 12th grade through a rigorous and stimulating curriculum. Skills covered will include string technique (improving intonation, vibrato, set-up) and musicianship (foundations of rhythm, sight singing and theory). Instruments covered in this camp are violin, viola, cello and double bass. Orlando Repertory Theatre Camp at UCF (6 camps): Six camps include Toy Story Block Party; Harry Potter and the REPwizard Tournament; This is Me: The Greatest Show; Disney Summer CineMagic; Descendants: Ways to be Wicked; and Keep Calm, Own the Stage. Character Animation Intensive: The Intensive Animation Summer Program provides rigorous college level courses to high school students, who will acquire skills in animation, digital media and sound design, while developing and building a professional ePortfolio for college applications. 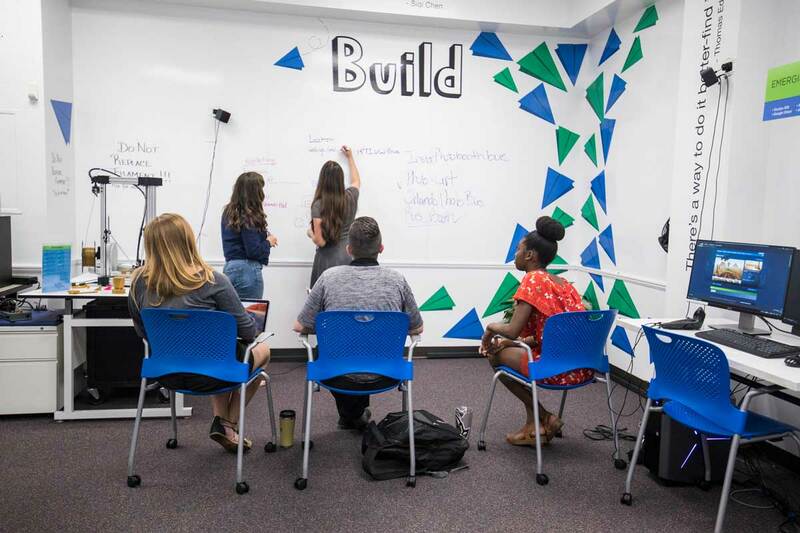 UCF Summer Entrepreneurship Camp (Powered by The Startup Studio): This week-long program uses The Startup Studio’s Learn to Start process to empower students with the entrepreneurial mindsets and skillsets they need to create value for others and opportunities for themselves. Each day students will undertake entrepreneurship experiences that help them understand their passions, explore the power of their own ideas, and gain confidence in their ability to lead new initiatives and launch startup ventures. Camp Pineapple: This overnight camp offers the opportunity to learn about the hospitality industry firsthand by touring some of Orlando’s top hospitality destinations. Campers will meet leaders in the industry to learn more about the variety of career possibilities. Ages: High school students who have completed their freshman, sophomore or junior years. Registration details: Camp is currently at capacity but a waitlist is available. UCF K-6 Reading Clinic: Develop your reading and writing skills with help from undergraduate education students. The final session includes a parent celebration demonstrating family literacy activities. Contact: Kristan Priske at kristan.priske@ucf.edu. Digital Storytelling Camp: Combine literacy, visual arts and technology while embarking on reading adventures. The final session includes a parent celebration where students showcase their digital stories. 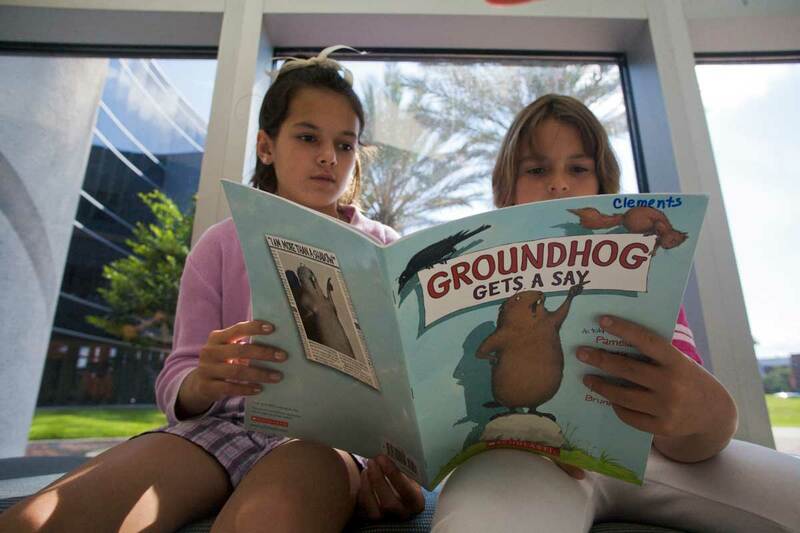 Summer Reading Camp: Explore reading through interactive activities with help from undergraduate education students. Greg Lovelady Baseball Camps: This is a great opportunity for youth players to showcase their skills in front of the UCF baseball coaching staff, as well as receive instruction to better their individual skill set through drill series and a competitive atmosphere with organized games. Registration details: Registration is open until the first day of each camp. 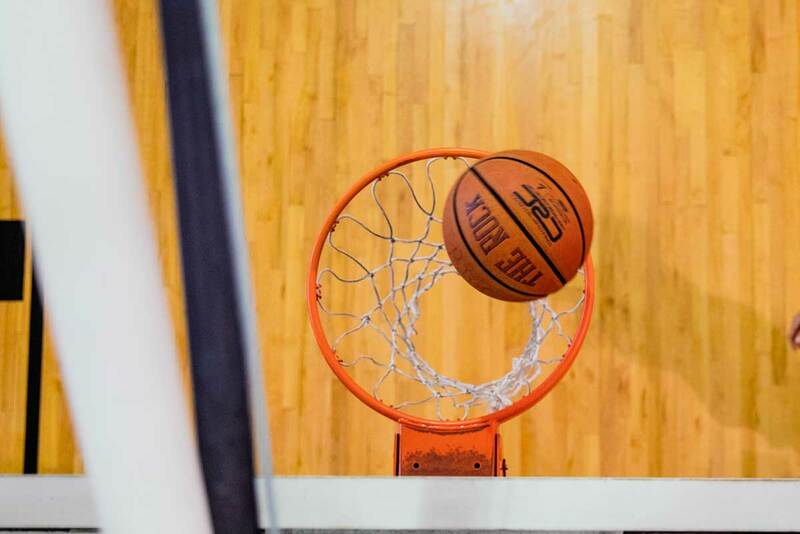 Johnny Dawkins Basketball Camps: Campers will have the opportunity to learn the fundamentals of basketball and improve their skills in the same facilities that UCF’s basketball teams use every day, including the Addition Financial (formerly CFE) Arena and practice courts. Individual Day Camp: This camp has an emphasis on developing the basic fundamentals of basketball: shooting, dribbling, passing and defense. Players are grouped according to age, height and ability level. Campers will receive lunch daily, as well as a T-shirt. Position Camp: Campers will learn specific skill sets for their positions and then have the opportunity to work on and develop those newly learned skills against their fellow campers in a live scrimmage. Little Knights Camp: Younger players will have the chance to work on their game with current UCF players and staff. Campers will receive lunch daily, as well as a T-shirt. Registration details: A medical form (which can be found on the camp website) must be filled out before the camper attends the camp. Central Florida Girls Soccer Camp: These camps were created for aspiring young soccer players to experience the coaching philosophy and training environment of a top-level Division 1 program. Elite Residential Camp: This three-night, four-day camp is filled with technical and tactical activities and games for all levels and positions. Youth Day Camp: This camp offers over 25 hours of instruction that will cover all aspects of the game and will include developmentally appropriate activities for all skill levels. College ID Camp: This camp is geared toward aspiring college student-athletes and features technical development, position-specific training, full-field competition, speed and agility training, and recruiting Q&A sessions. Registration details: Discounts available for early bird, faculty, staff, alumni and teams. Summer Day + Futsal: This camp is designed with specific daily topics, afternoons of futsal play and opportunities to improve ball mastery and technical skills. Residential Elite Camp: This camp is designed to offer players the opportunity to engage in a week of development that includes technical and tactical coaching during intense training sessions, competitive small sided games and 11-vs.-11 matches. It also rest and recovery sessions in the pool and soccer education discussions in the classroom. UCF Elite 200 ID Camp: This identification camp is designed to offer prospective student-athletes with an opportunity to showcase their talent in front of a number of coaches in an elite environment. Registration details: Must be registered before the start of each camp. 3-Day Summer Youth Cheerleading Camp at UCF: Under the instruction of current and former UCF cheerleaders and staff, campers will learn the fundamental skills required in cheerleading, including pyramids, stunts, tumbling, jumps, cheers, sidelines and dances. Individuals are grouped into teams according to their ages, and each team will perform in the final-day showcase. Registration details: Register online before June 1 and receive a discount. Wilson Collegiate Tennis Camp at UCF: This is the premier camp for young players who strive to learn the game, improve their skills and/or participate in middle school, high school, USTA team tennis or tournaments. Registration details: Register online for either overnight, commuter or full-day options. Position Skills Camp: Attacking, libero or setter-specific instruction. College Prep Camp: This overnight camp is designed for campers with significant playing experience and a desire to encounter what it’s like to live and train as a collegiate student athlete. All-skills Camp: This camp is geared toward technical teaching of each of the six skills of volleyball. It is designed for younger players and those who have only been playing for a short period of time. Elite All-skills Camp: An individual camp focused on each of the fundamentals of volleyball, but taking it from a basic to a more advanced level. Designed for athletes with a few years of experience. Registration details: Contact camp director T.J. Read prior to registration if you are signing up a group of six or more for the non-team camps to receive a discount code. EEK! Engineering Education for Kids: Solve real world engineering problems through activities that will excite, inspire and challenge. Computer Science Summer Institute: The program offers a mix of activities designed to maximize learning through hands-on, individualized instruction with outstanding instructors. It will also expose students to broader topics in computer science. 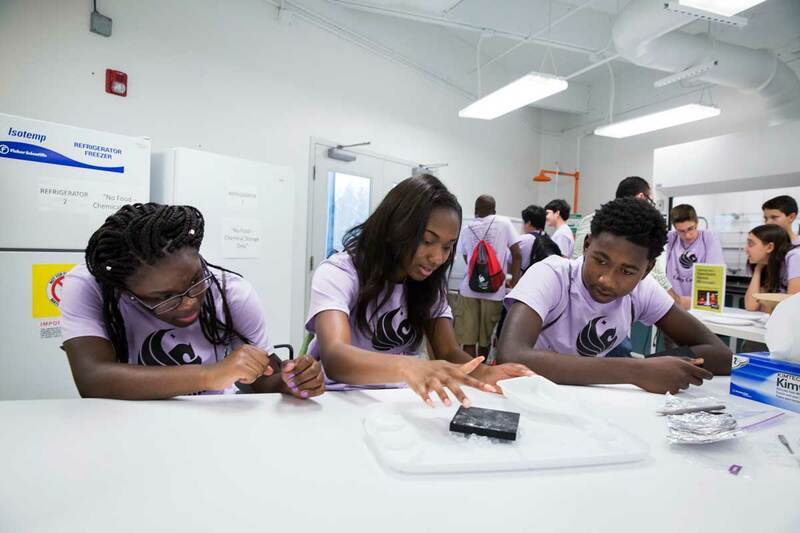 Camp Connect I: This camp will introduce students to various engineering fields through hands-on activities, presentations and lab tours. Competitive Programming Summer Institute: This camp is specifically designed to help students improve their performance in contests such as USACO, TopCoder, CodeForces and eventually the ACM ICPC. 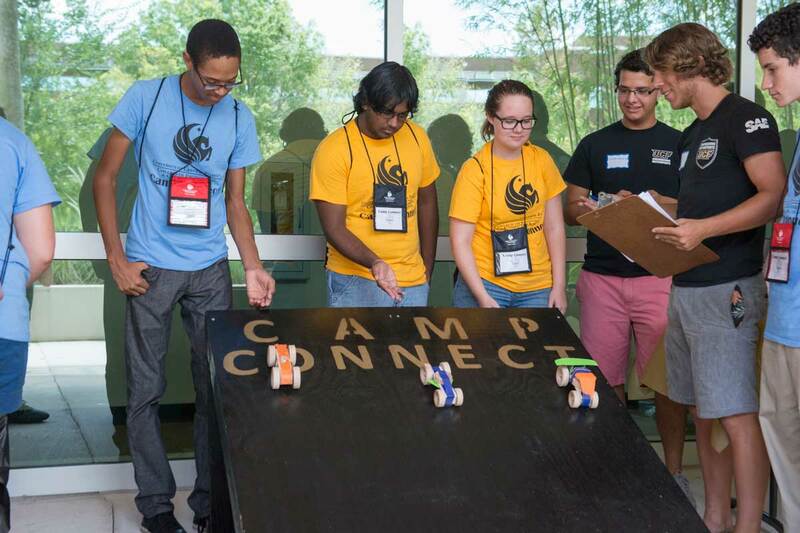 While it focuses on programming competitions, the camp also provides fun activities including guest speakers, field trips and social activities, allowing students to enjoy UCF’s exceptional recreational facilities and the Greater Orlando area. Camp Connect II: This camp will provide a deeper dive into various engineering fields through hands-on activities, presentations and group projects. Biology Summer Institute: This program will introduce students to field techniques and experimental approaches used in water quality assessment, vegetation monitoring, forest ecology, and studies of gopher tortoises and marine turtles. Cyber Camp: The camp will focus on teaching beginner and intermediate computer security techniques and preparation for cyber competition.